I have been getting requests for a long time now to do some Doctor Who related stuff, so I figured why not start now! 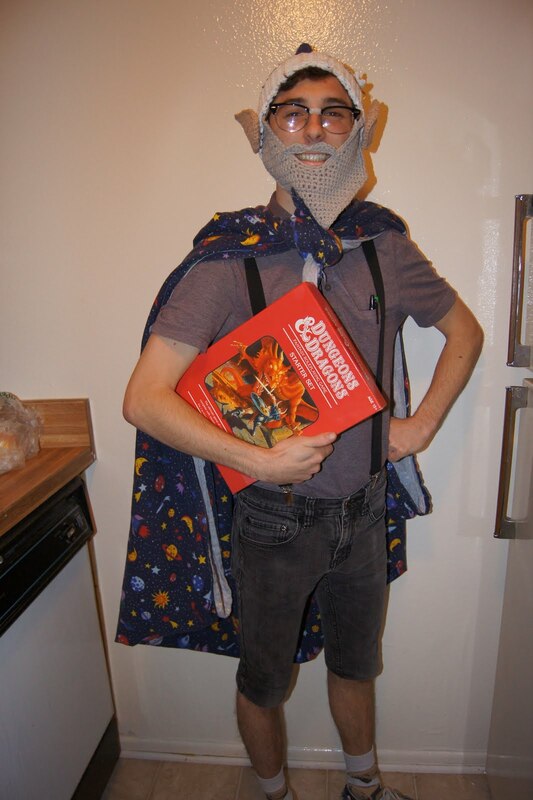 We’ve got a new Doctor, and it’s Halloween time, so lets get it going! So this week is the Week of Who! What that means is a new Whovian creation every day this week. 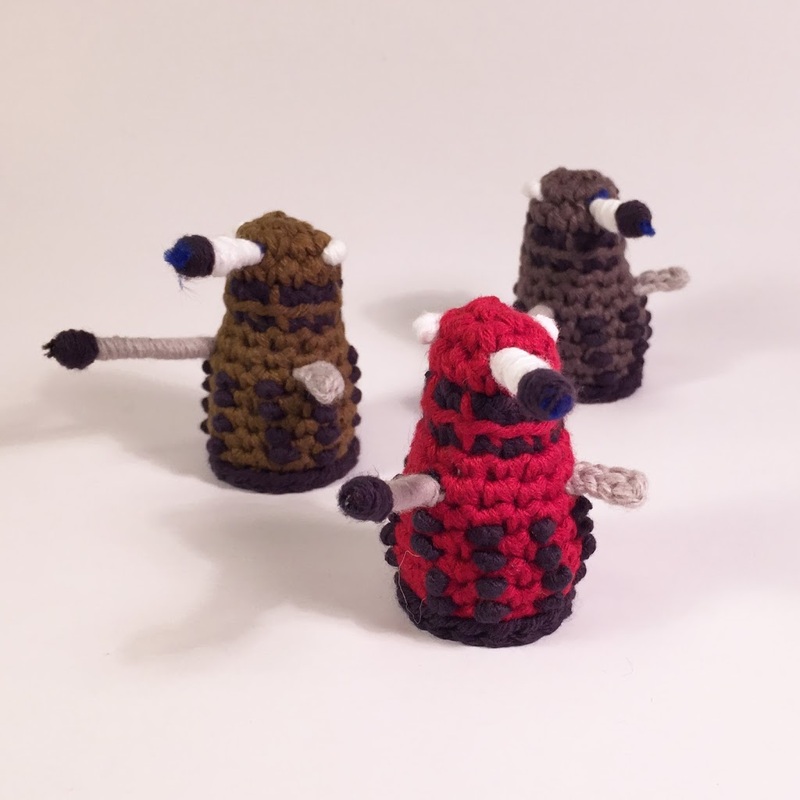 It started yesterday with Daleks, and bam, new to the Etsy store was both a group of exterminating aliens and the patterns to make them! But wait! You can also win one of these by simply re-posting one of the Instagram pictures from the Week of Who from my Instagram (here) and tagging me, @louiesloops, and posting it with #weekofwho! 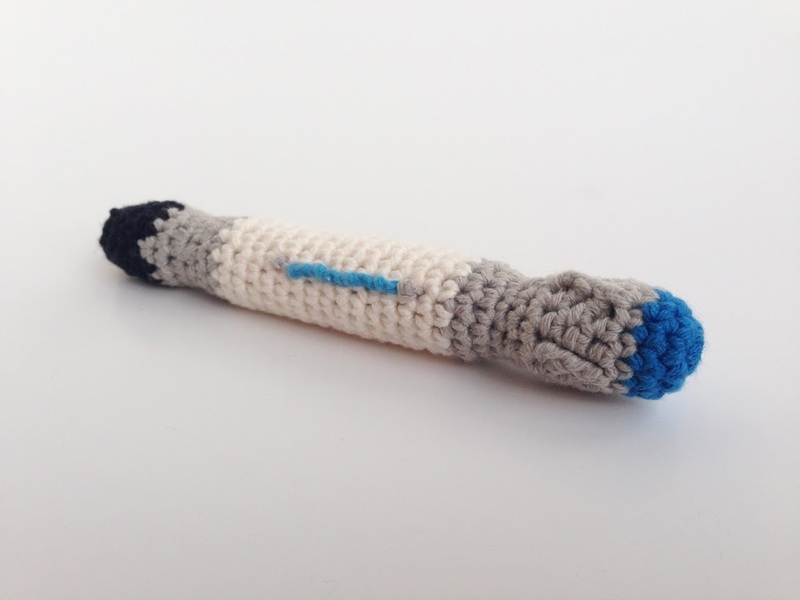 Well enough rambling, today is Tuesday, and I usually try to come out with a free pattern on Tuesdays so here it is! 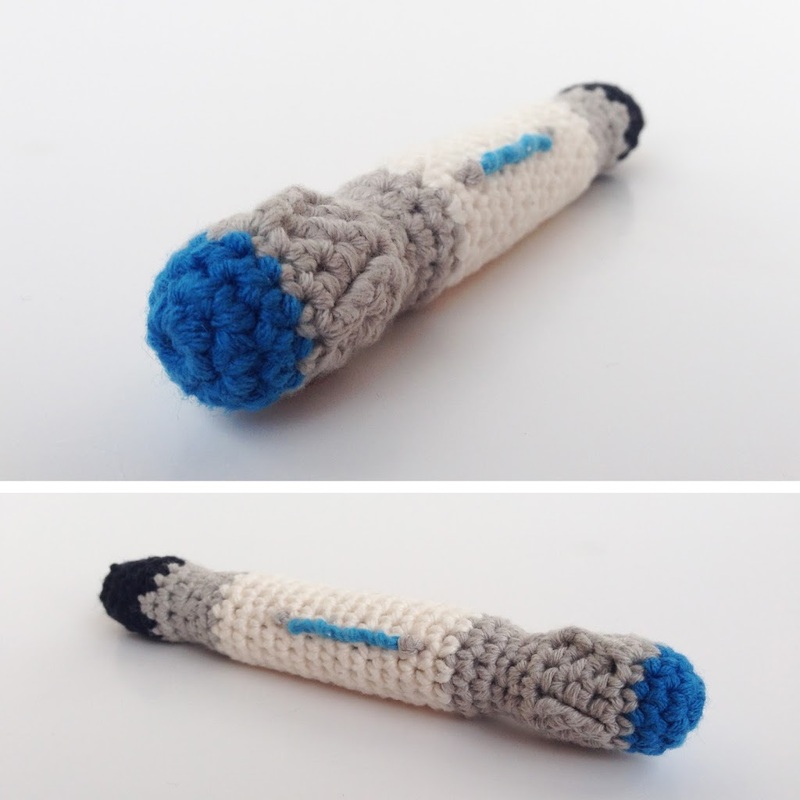 A free how to pattern for the 10th Doctors sonic screwdriver! 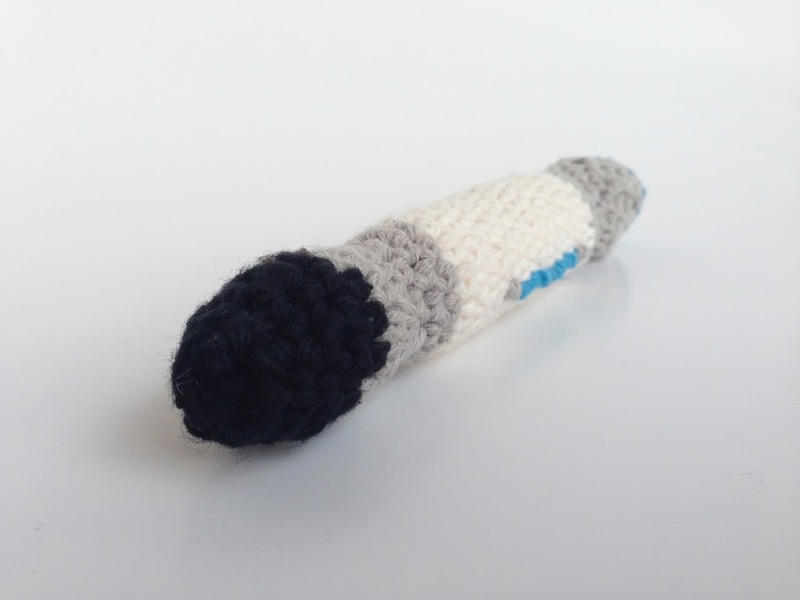 In grey and using a bullion stitch, make a button. 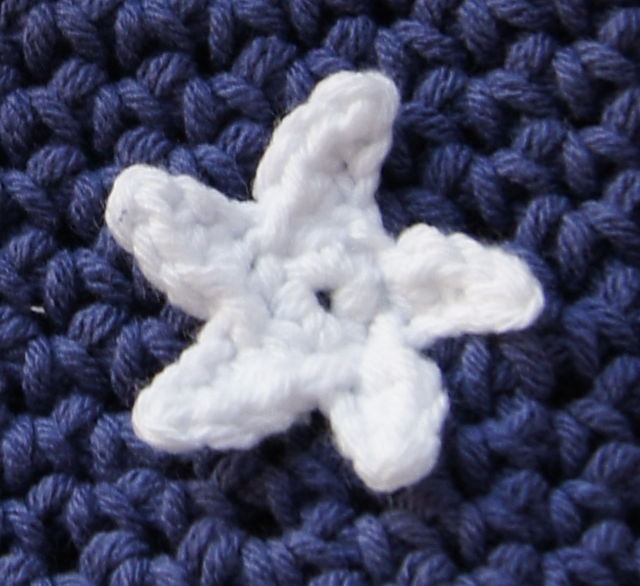 In grey and using a bullion stitch, make a button. In blue stitch a line between the buttons to connect them. 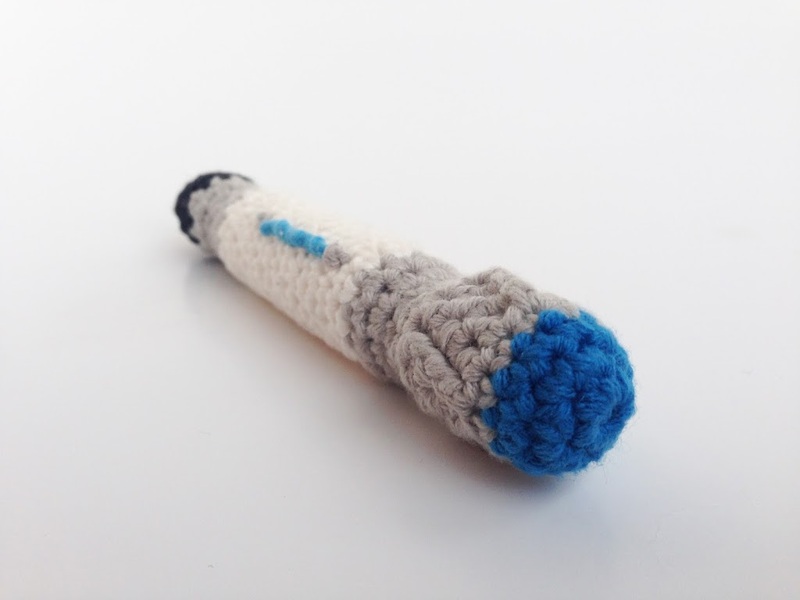 This entry was posted in Amigurumi, Blog, Doctor Who, Free, How to, How to Crochet, Nerd, Pattern, Patterns, Tutorial, video, Youtube on October 7, 2014 by Louis Mensinger.